Escaping The Ordinary is Co-Hosting the NeoRomantics CD Release Show. 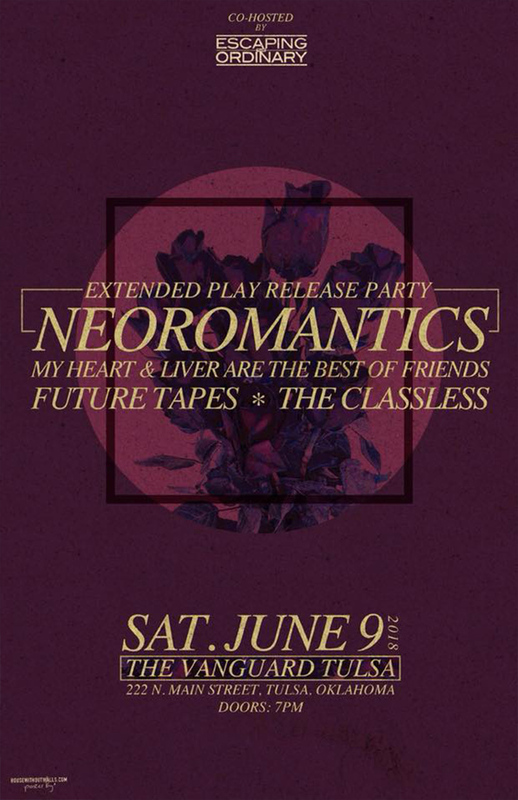 The NeoRomatics will be releasing a new record at their annual party! Come get down with us and some of our favorite Tulsa bands right now. Show is at The Vanguard in Tulsa, OK.